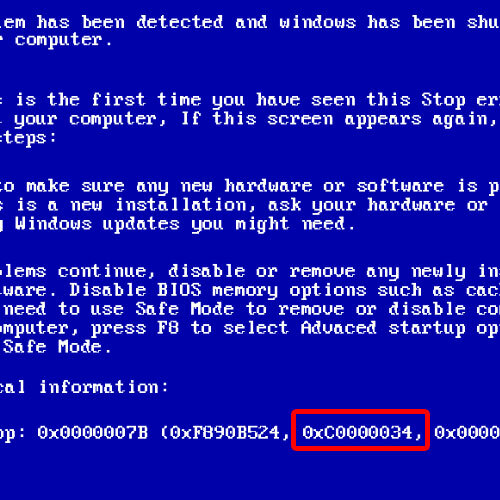 In this tutorial, we will show you how to fix the Blue Screen of Death Stop Error 0xc0000034. This particular error will occur when there is a problem in your hard disk. It may be possible that there are some bad sectors created on your bootable volume. Bad sectors can be of two types, the physical ones and the logical ones. If the problem is a physical one, then you would have to replace the faulty hardware. In the case of logical bad sectors, you can still resolve the error. To fix the blue screen of death error, reboot the computer and press the F8 key to access the Advanced Boot Options. 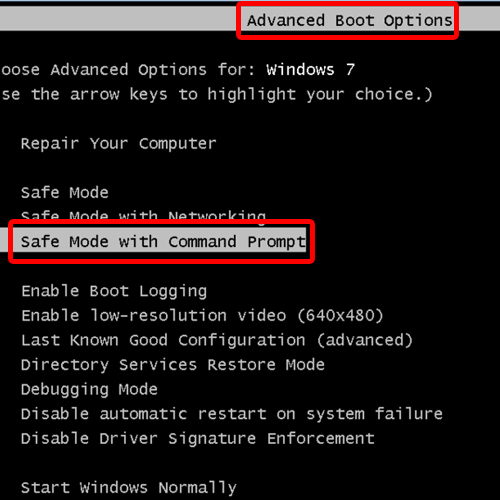 From there, select the “Safe Mode with Command Prompt” option and hit the Enter key. 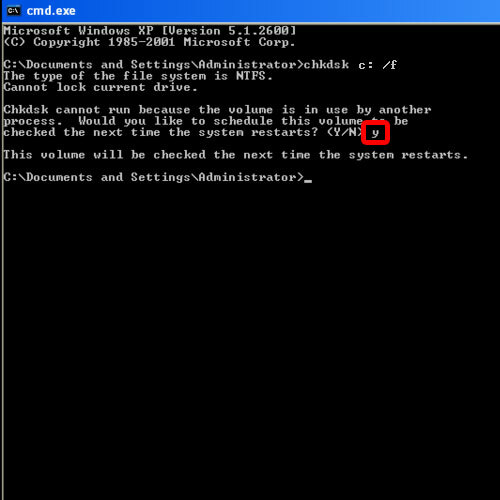 chkdsk c: /f and hit enter. 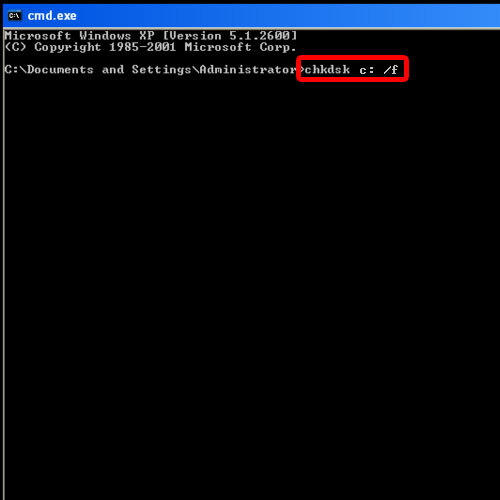 This command is used to check the errors in the hard drive. 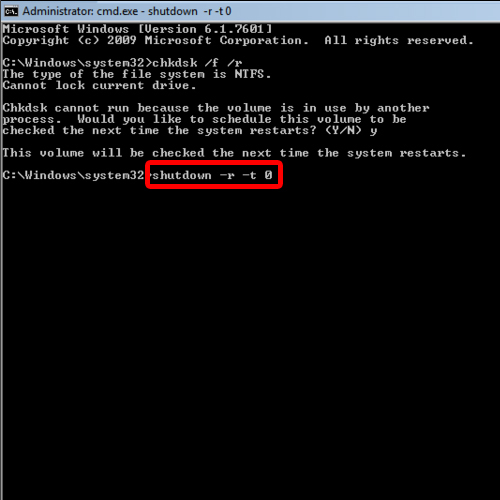 C is the partition where Windows is installed and the f switch is used to fix the error on the hard disk. If a message appears, informing you that the system volume is being used by another process and cannot run, simply schedule this volume to be checked the next time the system restarts. For that, type Y and hit the enter key. Now let’s type the command “shutdown –r -t 0” and hit enter. This command is used to restart the system. The t switch is used to specify the time and the numeric value is used to specify the time in which the computer will restarts. With this command, the computer would restart immediately. Running the command, the system will restart instantly and the disk check wizard will start. It will check the 3 stages of the disk; the first is file verification, the second stage is verifying the indexes, the third stage is of verifying the security descriptors. Once the process has been completed, it will automatically fix the error and the system will restart. As a result, the system will boot up in the normal condition and in this way, you have successfully resolved the error 0xc0000034.